This baby marker sheet is the perfect gift for the expecting mother. These are perfect for capturing the growth and change in your newborn through their first year. 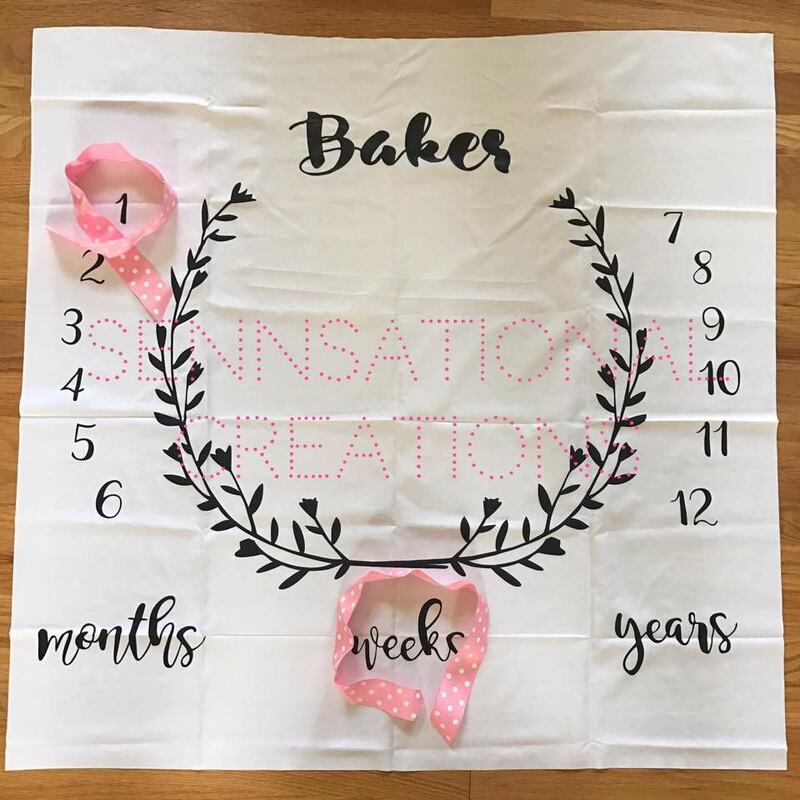 The months, designs and numbers are printed on the sheet while the name is added with a heat transfer. This is a must have for expecting families and they make a great gift. These are perfect for boys and girls. I coordinating ribbon set will accompany each sheet. They will vary. If you are ordering for a girl, the font is shown... if for a boy, the font will be more masculine. When ordering, please list the name as you would like it to appear in the notes section. Please make sure it is spelled correctly, as I am not responsible for incorrect spellings. First names only are included. If you would like the entire name it is an up charge of $8.00.